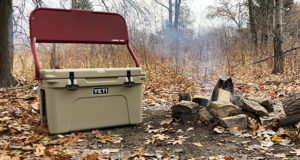 Overview: Yeti decided early on that product innovation would come from necessity and firsthand experience – not from market research and data analysis. And that they would never sacrifice quality for a few extra bucks. This mantra holds true today, with the high quality Yeti Rambler Tumblers. 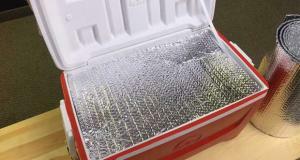 This drinkware was made to keep your drinks hot or cold – for a long time. What Makes It Unique: The Yeti Rambler Tumblers are made with kitchen-grade 18/8 stainless steel and double-wall vacuum insulation. The Rambler Tumblers keep ice 2X longer than plastic tumblers and are designed for maximum ice retention – and work just as well for hot beverages. Some people have had ice stay in the rambler cup for 12 hours. 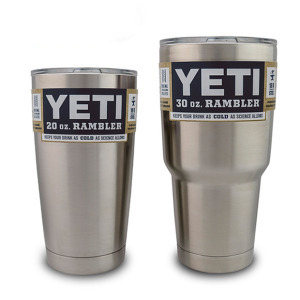 Rambler Tumblers are BPA free, including the crystal clear lid, so you can gauge the level of your frosty beverage as it slides down the pipe. 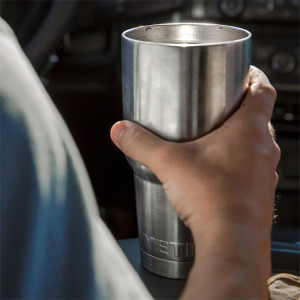 The tumblers come in two sizes, a 20 ounce and 30 ounce, depending on your preference.